Our churches would like to invite you to join them for events they have planned for Christmas this year! See below for dates, times, locations, and a little about each event! We hope you will find several events that you will enjoy! 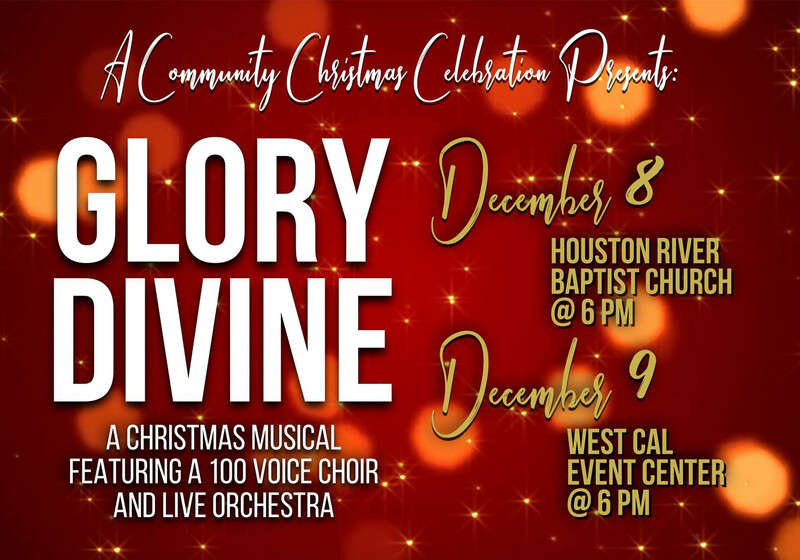 Please come and join us as we celebrate the Christmas season with a 100+ voice choir and an 18 piece orchestra. We are multi-denominational and have over a dozen local churches in the area represented! A few nights each December, the outside of Tom Hebert Road Baptist Church becomes the city of Bethlehem. 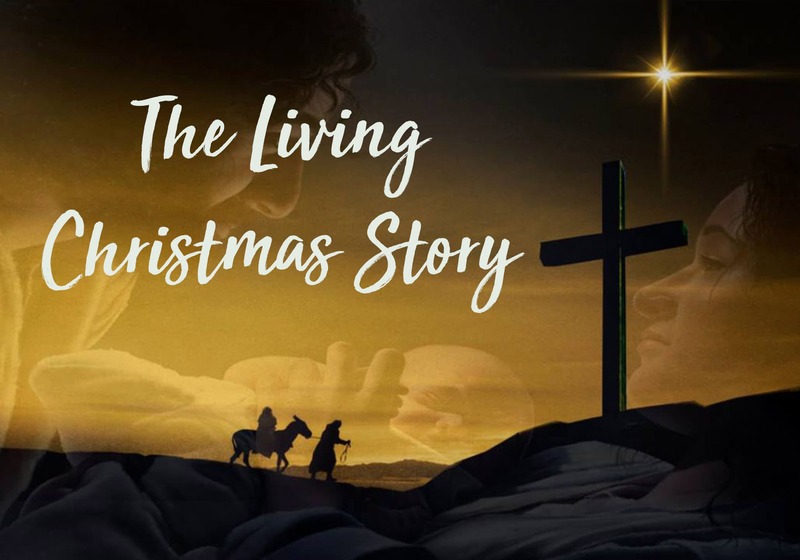 It is transformed into the Living Christmas Story, a walk-thru reenactment of the way life was 2,000 years ago on the night Jesus Christ was born. Not an ordinary Christmas play, the Living Christmas Story uses real people from the community who become the people of Bethlehem. Scenes come alive as you walk through and experience the wonder of Christmas with drama, live animals, and music. Begin your holiday season with an event the whole family will remember! Zita, a young homeless woman, yearns to come out on the right side of life but she thinks it’s too late. When she butts heads with a few church people, she learns they recognize her inner fight because they’ve faced obstacles of their own. A rough start doesn’t mean the end. It can lead to a beautiful beginning: in Zita’s case–a Christmas love story. 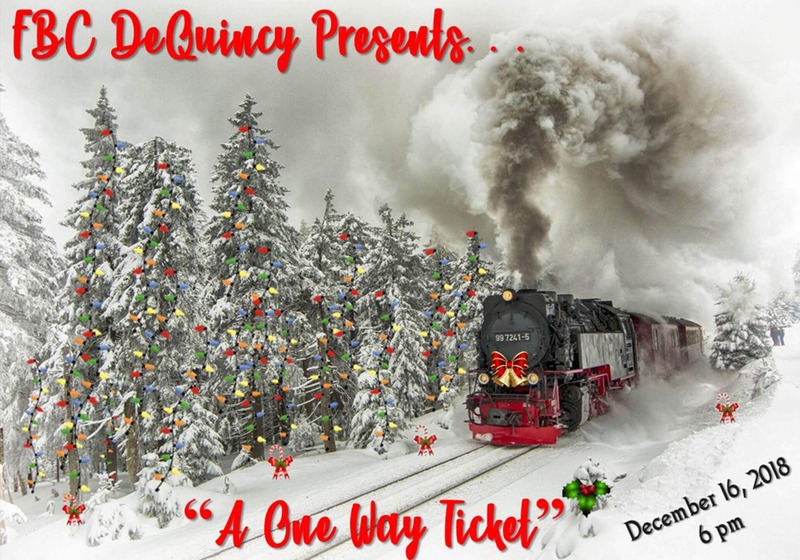 FBC DeQuincy presents “A One Way Ticket”. The Christmas Express Train is the main setting for this Christmas Drama and Musical. 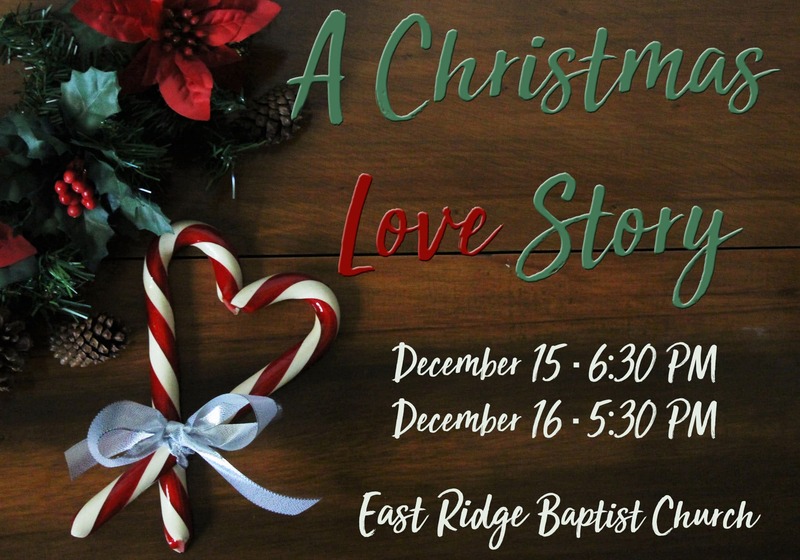 Come and experience this wild journey that will, for the first time, take a young Christian train attendant away from her home and family at Christmas time. Will the storms of life wreak havoc on her and her family? Will she risk losing her job this close to Christmas? Come rid the rails with us Sunday, December 16 at 6 PM and find out the exciting conclusion! In this story, Susanna King’s bright spirit and love for life overrides her circumstances; you see, Susanna has been recently diagnosed with cancer. But in spite of bad news and challenging times, she lives with the joy of Christmas in her heart. This is an emotion-filled story, rich with heart. It comes alive with great new songs that are sometimes powerful, sometimes celebratory, sometimes poignant; sometimes happy, sometimes sad; songs that propel the story along while speaking to our hearts with the love language of God’s Christmas story…the birth of our Savior, Jesus. 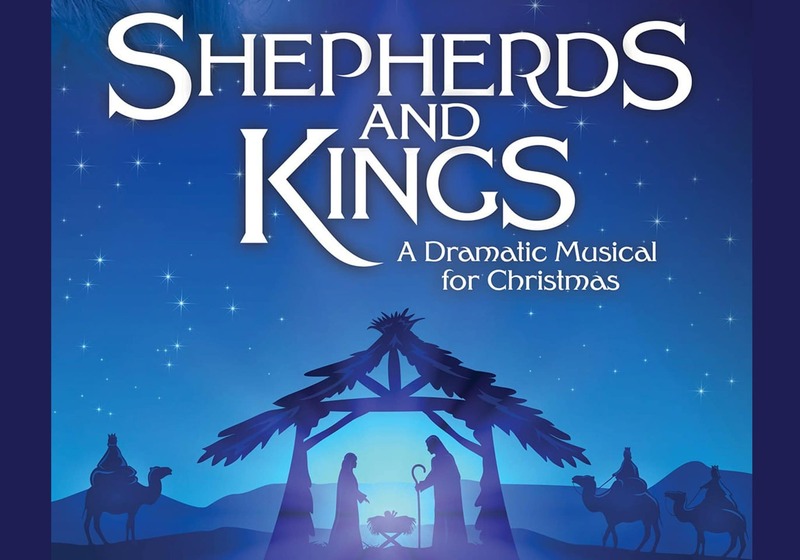 Designed to bring your music and drama ministries together, Shepherds and Kings proclaims a strong, vibrant message about the power of love—our love for one another, our love for God, and most importantly, God’s desire that ALL would come to know of His great love for us. Share the hope and good news of Christmas with your church and community this year, through your presentation of Shepherds and Kings.